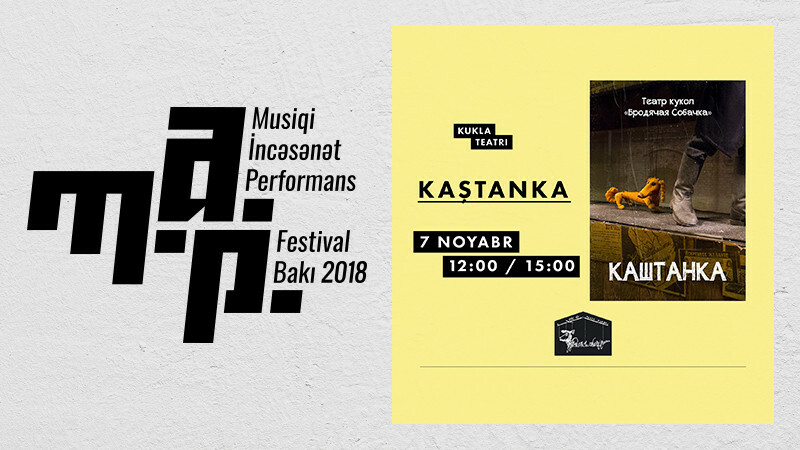 Kashtanka in Azerbaijan State Puppet Theatre buy tickets online. Delivery of tickets for the event Kashtanka. St. Petersburg’s puppet theatre «Stray Dog» exists for longer than the quarter of a century already. This is a lengthy period for a small children’s theatre, which is memorable to its audience for its cozy, home-like atmosphere. The theatre’s repertoire includes fairy tales, works of classics of children’s literature, and is directed at young but insighted viewers. Apart from the traditional plays, “Stray Dog” also holds interactive lessons during which children learn from the professional actors the techniques of puppet-making. The theatre has traveled to Latvia, Spain, Denmark, Switzerland, Turkey, Korea, and many other countries. The premiere of the puppet show “Kashtanka” was timed to coincide with the 150th anniversary of A. P. Chekhov. The adaptation of Chekhov’s classic story, in which a young red-haired dog with a face similar to that of a fox, lives happily at a carpenter Luka Alexandrovich’s place. Gotten lost on a walk, Kashtanka finds herself at a mysterious stranger’s place — who turns out to be clown Mister Georges. Kashtanka then comes into the circus where she meets with other animals — goose, cat and pig, and in the end reunites with her former owner.